Hearing conservation is the combination of a series of activities designed to minimise or indeed, prevent Noise Induced Hearing Loss. Each of the services provided by Sound Hearing form the backbone of your organisations Hearing Conservation Program. For your organisation to capitalise on your investment in measurement and education strict record keeping is critical. 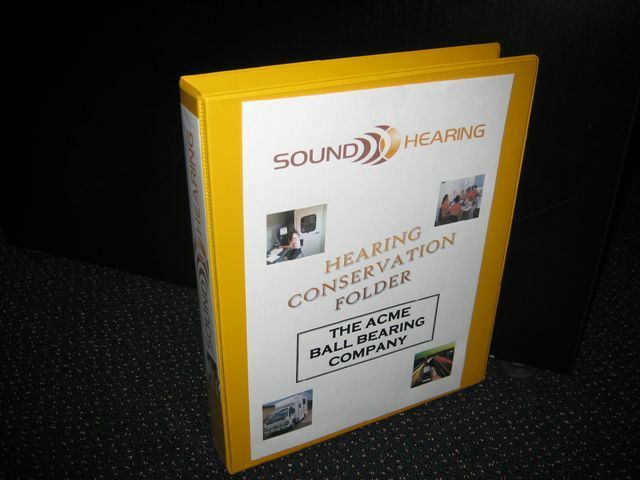 Sound Hearing has developed a "Sound Hearing Conservation Folder" which provides an easily retrievable reference for all your Hearing Conservation data and its relationship to your workforce. All testing performed by Sound Hearing conforms to Australian Standard AS/NZS 1269:2005.